CLEVERSHADE® - THE SHADE THAT MOVES WITH YOUPh: 07 3889 6844 WANT MORE INFORMATION? 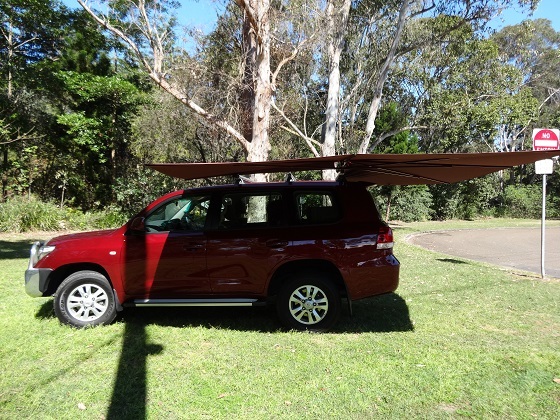 CleverShade is the ideal camping shade solution for your 4WD, caravan, mobile business and almost any vehicle you can dream of. For those who require a slightly smaller CleverShade than our other models this is for you. Still offering a massive 270° worth of coverage it is 3.6m by 3.6m and will follow you wherever you go. It’s crafted from structural aluminium ensuring it is lightweight (less than 16kg!) but still strong enough to remain in place without the need for poles, pegs or ropes in winds up to 40km/h. Taking less time to put up than it takes to boil the kettle. You can be enjoying your favourite cuppa in the shade with absolute ease. When packed away, the awning is very compact at only 2m long. Don’t take the risk of being caught in the rain or getting sunburned any longer. The CleverShade is so light and easy to use that you don’t have any excuse for getting wet or burnt again. 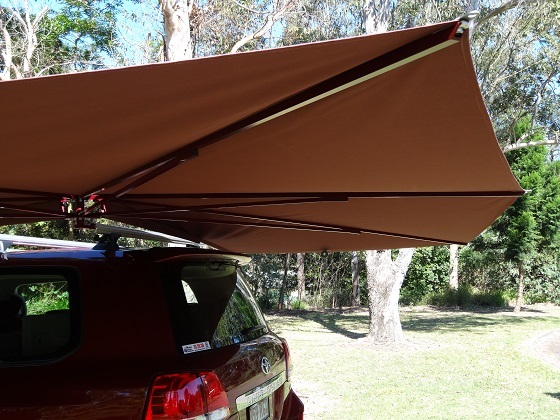 CleverShade is Australian made and designed for camping shade. 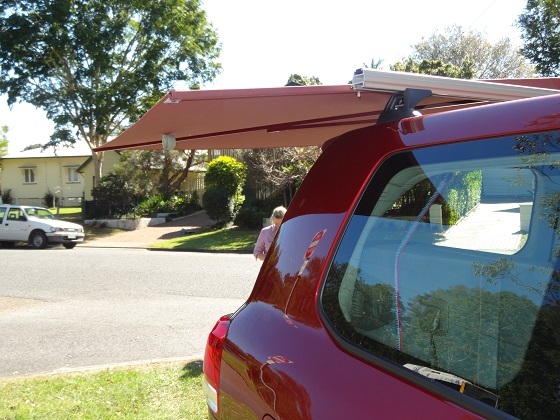 As a 4WD awning, on caravans and even to be used on the go for mobile businesses. We also have a larger model for maximum shade coverage. Take a look here. All our CleverShade models come standard with black powder coated frames and a grey canopy. Want a CleverShade that will stand out from the crowd? We can certainly offer other colours but they will incur a 10% surcharge. If you would like to get some more information or send us a photo of your situation to see how we can help you install a CleverShade then simply fill in the form below and we will get back to you with all the important details ASAP. CleverShade by Austshade Pty Ltd, the same company who brought you Revolvashade® Umbrellas, is an innovative Australian outdoor shade products manufacturer. 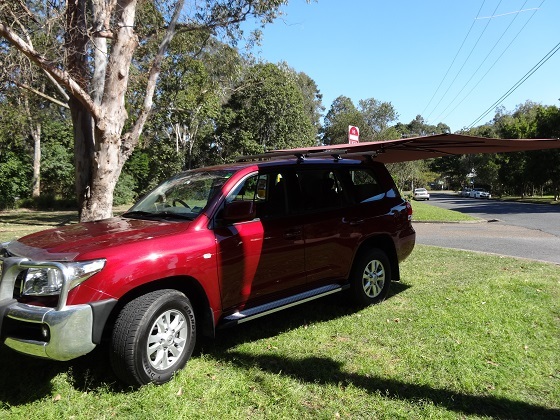 With our patented designs the CleverShade is widely recognised as the market leader in the field of 4WD rooftop and portable shade umbrellas. We don't compromise on quality to ensure you have a product you can rely on.